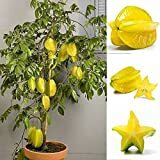 Carambola growing tree of the genus Averrhoa also known as Starfruit, Carambola perennial evergreen – semi-deciduous plant also used as ornamental plant grow in tropic, mediterranean or subtropical climate and growing in hardiness zone 9+. Leaves are green but new growth its red, flower color white-purple that grows on the trunk of the tree. 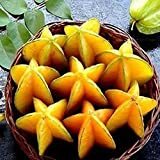 What can be done with big quantities of Carambola fruits?